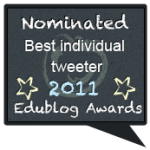 There are now hundreds of Education Twitter chats taking place around the world at almost any time of day or night. To follow any chat in real-time all one needs is the hashtag (#). The hashtag is the key to the chat. Using TweetDeck, Hootsuite, or some other third-party application it is easy to create a column that will follow only the hash tagged tweets of the chat. That will focus on and deliver each of the tweets in the chat in the order that they are posted. Of course in a chat that may have fifty to a hundred participants it is impossible to follow every tweeter’s tweets. Very much like any face-to-face social gathering of such numbers of people, one would only engage with a few chatters at a time and focus on the topic of discussion within that group. I enter chats with the intent of engaging a few people with my point of view on the topic to challenge and test my own ideas, as well as the ideas of others. Many chats archive the entire chat so people can go back to see whatever it was they thought they might have missed from others. My personal preference is to participate in chats with one topic to be explored in-depth as opposed to chats, which program 5 or 6 questions in a one-hour slot. My feeling is that the chat never develops naturally with predetermined questions. The participants may just be getting started when time demands a change to the next question. Maybe it is a control thing on the part of the moderators of those chats. It does keep things moving in the chat, but it seems more forced and less organic. There are many however who thrive in that format. As long as topics are being explored the format of the chat is less important. We can never answer for how other people learn and participate. In a single question chat the participants are more reliant on moderators to feed off of and restate questions and ideas. It is more of a practice in the art of discussion and less formula. The purpose of any chat is to get a more in-depth discussion and reflection on a given topic. Hopefully, the most successful chats will generate Blog Posts with further reflection and clarity. The people attending these chats often have a specific interest in the topic. The use of Twitter as the platform for education chats enables not only anyone interested in the topic, but also people whose area of expertise might be that specific topic. Keep in mind that twitter has a global reach, so the only possible barriers to anyone’s participation might just be time zones. 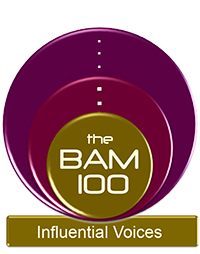 Many authors, speakers, bloggers, and thought leaders will often participate in chats. 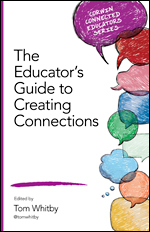 Regardless of titles there are many chatters who offer great ideas, or challenges during chats. It is great to assemble educators who have a common interest to express their ideas on that interest. They are the very people who one needs in a Personal Learning Network to continue following and interacting within meaningful ways. Every chat should offer up some new people to follow on Twitter, or to engage further in Google Hangouts or Skype calls. The one long-standing criticism of Chats is that they have a tendency to become echo chambers of like-minded people. I would agree that educators do have a common interest, but it has been my experience that they rarely agree 100% on anything. Everyone has his/her own slant on any given topic. Some even abandon their personal beliefs to stir the pot with opposing views. This is where experienced moderators prove their worth in chats. I do not prescribe to the echo chamber argument. New chatters are usually hesitant to get involved at first. They sort of lurk and learn the culture of the chat. They try to figure out the leaders and just try not to get overwhelmed because of the rate that most of the tweets fly by. It can be quite intimidating. Most chats start off slowly as people begin to gather. It usually takes 5 to 10 minutes to get going. Some chats have people introduce themselves others just dive right in. There is one distraction newcomers should be aware of. Hashtags for chats are used for any tweet that may be related to that general hashtag. 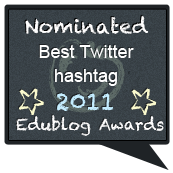 For instance a hashtag widely used for any Tweet dealing with education is #Edchat. People use this 24/7. That means that during the #Edchat Chats tweets my come in that have nothing to do with the topic being discussed. Knowing this before the chat helps filter through the noise. Enter the chat to engage a small number of people and not the auditorium. Now all you need is find a chat to engage in. There are chats for educators in various States within the US as well as many other countries. There are chats for specific grades, subjects, courses, and interests. Of course the Granddaddy of chats is #Edchat which takes place twice each Tuesday. The first #Edchat is at noon eastern time and the second #Edchat is at 7 PM Eastern time with a different Topic. The #Edchat Topics are decided by a Poll each week. Please Join Us! 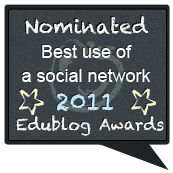 Here is a list of all of the Education chats taking place globally on Twitter. I’m quite happy that you have included the criticism of Twitter chats that stay superficial will become an echo chamber. I noticed a similar trend on chats that have been delivered on Voxer. I was starting to find that the novel concept wasn’t getting off the launch pad in a satisfying way. Do you think that what we could use is a sort of standard for elevating these social network chats so we can extract the full potential in some manner? I hate to institute a Roberts Rules of Order but we need to somehow codify what makes for a shallow conversation and one that is full of elevated discourse. Obviously, I would be interested in figuring out how to promote the latter in lieu of the former. How do you think we could do that? Other T-chat techniques that I have found helpful are; while using Tweetdeck, in addition to the chat column, I open a second column for the moderators to keep track of leading questions or themes. Second, I open browser tabs for my blog reader list, and my social bookmarks. 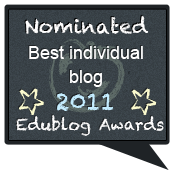 This gives me the opportunity to provide more detail with a hyperlink, or contribute a resource to support deeper learning. I have found Twitter chats to be the best way to follow new Tweeps, and to engage with new followers. Sort of like informal gatherings at a conference, Twitter chats are great for building and maintaining inertia with personal learning. Thanks Tom. As a ( returned) Twitter follower, this is good advice. Need to learn the skill of ‘ filtering the noise.’ – Moved away from Twitter because of the speed of the chats that as you say some people thrive on. Yesterday, my class opened a Twitter account – Put a question ‘out there’ that my students chose to post about our current topic: Digital Citizenship. Look forward to seeing tweets from ‘out there’ today. I hope you placed a hashtag on that tweet to extend its range to educators who may not be following you, but follow the hashtag. Thanks, Tom, for the post with many helpful tips. I noticed at the end you wrote: “Here is a list of all of the Education chats taking place globally on Twitter.” However, the use of “all” is misleading because the link goes to a list that is not inclusive. For instance, on Mondays #teacheredchat takes place 9 pm ET, and this chat is not included. I also noticed other missing chats, so would suggest modifying your sentence and replacing “all” with another word. As always, appreciate reading your posts. Personally, I do prefer chats with multiple questions as opposed to one question and also appreciate when the set of questions is tweeted out in advance through a screen capture or app like Smore. When I see a set of questions in advance, I can more knowledgeable decide if I want to join a specific chat at any given time. 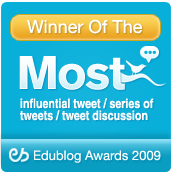 By the way, the very first chat I ever entered when I joined Twitter many years ago was #edchat. 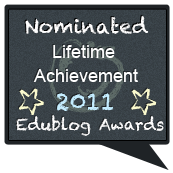 At that time, few education chats existed, but they sure have proliferated over the years, and many more educators are now actively participating and moderating. That list is updated fairly frequently, but it is difficult to keep up with all chats because many come and disappear very quickly. There are very few that last for a long period of time. This is however to my knowledge is one of the most comprehensive and up to date lists available. 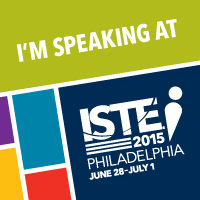 Hi Tom, I did fill out a survey that Jerry directed me to get #teacheredchat on the list. Did you receive the info? Yes, the chats come and go, and the list is handy, and I have tweeted it out often. Are you able to enter #teacheredchat on this list? Who is now organizing it? Jerry wrote he is no longer involved in the updates. Thanks for your prompt reply. Thanks for writing such a great introduction and overview of Twitter chats, Tom. I’ve learned so much from engaging in a few chats each week. Of course, #edchat was my gateway chat to all those other chats, and I still enjoy the free flow of ideas and introduction to so many educators #edchat provides each week. Reflecting on this I now am much more selective with the chats I join and strive to be specific and practical when answering questions. Theories are great but they can seem preachy at times. I needed to practice more of what I have preached, that communication is just as much about listening as it is speaking. Though I am still lurking in on out of state chats, I try to be even more mindful of others and their discussions. It is not a perfect science but I do see the immediate impact on my professional learning. I am humbled by the knowledge of those in my growing PLN and look forward to many excellent chats ahead! New to Twitter chats? 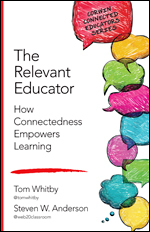 Here’s Tom Whitby’s detailed explanation of this excellent form of personal professional development.